Deirdre Brennan is the General Manager for Universal Kids, NBCUniversal Cable Entertainment’s network for kids 2-12. With a fresh mix of animated content, unscripted entertainment, and proven international hits, Universal Kids represents the world of NBCUniversal family brands. Brennan oversees all aspects of Universal Kids’ programming, marketing, business strategy and performance. She sets the strategy for all network and digital operations, with organizational oversight that includes programming, development, marketing, digital, finance, communications, insights and strategy. Brennan manages the greenlight process and works closely with producers and international broadcasters as well as with the global creative community to bolster the network’s relationships with top talent, writers, and showrunners. She also works closely across all NBCUniversal businesses to optimize projects and resources that grow the company’s overall kid’s strategy. 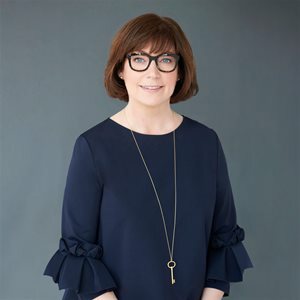 Previously, Brennan was at Corus Entertainment, where she was Vice President, Content, overseeing the development, management and execution of the Corus Kids slate of programming, including YTV, Treehouse, Nickelodeon, TELETOON, Cartoon Network, Disney Channel, Disney Junior and Disney XD. Prior to joining Corus, she was Head of Children’s Television, ABC TV, Australian Broadcasting Corporation, leading programming, acquisition and commissioning across Australia’s most successful children’s services - ABC KIDS, ABC3, and ABC Children’s online and mobile offerings. Prior to that, she was Director of Content, Australia & New Zealand for BBC Worldwide. Brennan also served as Director of Programming, Nickelodeon Australia. She began her career as a presenter and announcer for the Australian Broadcasting Corporation. Brennan lives in New York City with her husband.